Spectrum Reach (formerly Charter Communications) has partnered with Media Communications Class on an exciting project this spring. Executives offered the class the unique opportunity to write, pitch and potentially produce commercials that will be placed on Charter Cable. "Spectrum Reach Advertising Executive Christine Erb and Creative Services Account Planner Alison Manka met with the CPHS Media Class a few weeks ago and proposed the project and students were thrilled," shared Media Communications Teacher, Cathy Mebes. 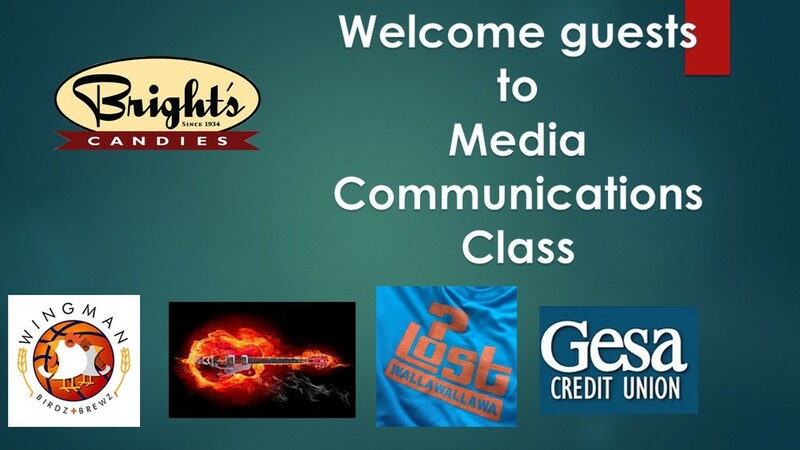 Erb shared that students were broken into 5 groups and would have full creative control of commercial spots for Bright's Candies, Lost Boardroom, GESA Credit Union, Wingman Restaurant and Blazing Guitars. Students rose to the challenge, doing research on each business, examining their past and current advertising trends and visiting the businesses. Students pitched 5 very creative commercial concepts to local business owners and even created slogans/tag lines that we feel could be used by the businesses for years to come. “What an incredible experience for our students. Not only are students gaining business, marketing, public relations, advertising experience in Media Communications but their projects will serve as a beneficial portfolio piece and asset to their resume." added Mebes. Attached are the student pitches. If chosen, students will work with Spectrum Reach Producers, Videographers and Editors to create their commercials. We are grateful to have the support of our community as they have so much knowledge, experience and encouragement to offer our students. Our panel of professionals were so impressed with the pitches that they each gave a standing invitation to Media students for internships, job shadowing opportunities and jobs after college.Wow, Go Hawks!